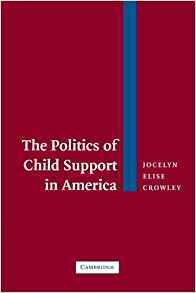 Jocelyn Elise Crowley is the author of the new book Gray Divorce: What We Lose and Gain from Mid-Life Splits. 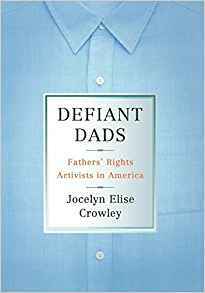 Her other books include The Politics of Child Support in America and Defiant Dads: Fathers' Rights Activists in America. She is a professor of public policy at Rutgers, The State University of New Jersey. Q: What accounts for the increase in over-50 divorces? Is it simply the larger number of people in the Baby Boom generation, or are there other factors? A: There are three primary factors. First, simply the aging of the baby boom generation. The number of people 50 and over has expanded over time. There were 100 million in 2010 and in 2050 the projections are for 161 million. We see a rising number of folks 50 and over, so we will see the divorce rate rise. Second is the changing life expectancy. In 1950 the average man lived to 65 and the average woman to 71. Now, the average for a man is 76 and for a woman is 81. There’s a significant rise in life expectancy. As people live longer, the chance [increases] that they might be exposed [to divorce]. Third is the cultural shift in American society. I was a kid in the 1970s and when my parents divorced, it was a big stigma. Over time with the evolution of divorce laws, there’s been a gradual destigmatizing of divorce overall. People are finding it easier. Q: Are the reasons for over-50 divorces similar to those for younger age groups? A: When I started the project, that was one of the main questions I had. There was the traditional idea of marriage—people get married because of love, and then have a sense of mutual responsibility and obligation. When one partner engages in destructive behavior, that’s when you would see divorce, with adultery or emotional abuse. Then in the 1960s there was a new idea—that marriages were places where you needed to be fulfilled and evolve, become a self-actualized person. If that wasn’t happening, you could get divorced. Baby boomers were the first generation coming of age in the new generation of marriage. I expected reasons like that, that they grew apart. But the majority of reasons had to do with traditional ideas of mutual responsibility and obligation. Only when that was broken would they think about divorce. It was a surprise. Q: What are some other things you found that surprised you in the course of your research? A: The length of marriages, how long many of them stuck it out hoping things would get better. 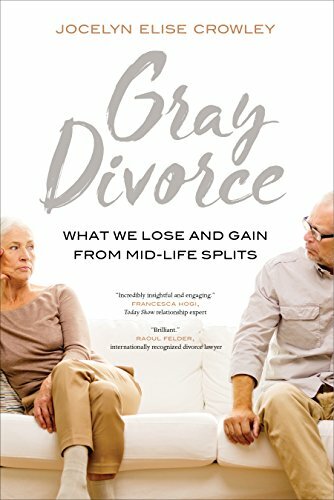 I spoke to 40 men and 40 women who had experienced gray divorce. Very few were married five years—the majority was married 20, 30, 40 years. The amount of dissatisfaction they lived through, and attempted to make it work—that was a little surprising. Often they would have problems in the beginning of a marriage, and it kept happening. And they had kids, and eventually one person would pursue divorce. The length to which they stuck to it before calling it quits was surprising. Q: What do you see looking ahead when it comes to divorce patterns? A: The divorce rate for most of the population in the United States has leveled off, and dipped among some populations, but gray divorce rates have increased. From 1990 to 2010 they’ve doubled. If this continues, this is going to become a phenomenon that’s increasing. There are a host of economic and social implications to think about. In the book I talk about women and men facing different penalties. For women, there’s an economic gray divorce penalty. They often have taken time out of paid work and go back, and they’re frequently making less than men for a host of reasons. By the time men and women are in their 50s, women have saved less for retirement, and have less contribution to the Social Security system. In the book I talk about some public policy implications, what we should do to address this: pre-retirement financial literacy, the importance of saving, why it’s important to save. All of these are really important. Making sure women have access to public policies, such as paid maternity leave. For post-retirement policies, we have to look at the Social Security system. Women take home less than men. It’s important to look at the formula and reform it. Women can access an ex-spouse’s benefits if it’s greater than what they’d get on their own, but they have to have been married 10 years and the average marriage lasts eight years. For men, I look at social gray divorce penalties. While married, women are the primary social directors of the family. When there’s a gray divorce, suddenly men lose that. Friends, even adult children tend to side with the woman. He has a much smaller network. We need to do a better job encouraging men to seek out therapy and pursue support groups so they can talk about their feelings after a gray divorce. A: I would say that in my research I found people going through serious pain as a result of gray divorces. Men and women face different consequences, but when I asked them, most were very optimistic about their future. That’s what I wanted to communicate.